Blood blisters generally occur when blood vessels beneath the top layer of skin rupture or tear. They may look like pimples with fluids, including blood, inside them. They are especially painful if infected, and they may cause pain while you chew food. If you have blood blisters, it may be difficult for you to properly brush your teeth, due to pain. In this article, we’ll discuss what causes blood blisters and how you can effectively treat them. Here are some photographs of blood blisters in the mouth, so you know what you’re looking for when you check out potential blisters in your mouth, or that of a family member. Some allergies can cause blood blisters to form in your mouth. Food and drink allergies can cause them, and so can citrus or acidic foods. Some prescriptions can also lead to reactions that may cause mouth blisters. Ulcers on the inside of your cheek or inside your mouth may cause blood blisters. These ulcers develop because of microorganism invasion in your oral cavity. If you already have an infection in your mouth, from whatever cause, you may have blood blisters. ABH can cause blood blisters in the mouth. ABH, while it is benign, can bring about a sudden appearance of blood blisters in the oral cavity. There is no identifiable cause in most cases. Could blood blisters be symptomatic of cancer? Most of these blisters are not dangerous, but you should have your physician check out any blisters that trouble you. They can be early indicators of cancer of the mouth. This cancer typically begins in the cells of the mouth lining. The parts most affected by mouth cancer include the tongue, lips and mouth floor. Other areas that may be impacted include the cheeks, gums, palate, tonsils and salivary glands. Mouth cancer usually affects people 45 years of age or older, and men are two times as likely to be affected with mouth cancers. You increase your risk of developing mouth cancer if you drink to excess and smoke. If cancer is caught early, it is more treatable. As soon as a blister concerns you, have it checked out. Some prescriptions may cause you to experience an allergic reaction, which sometimes shows up as mouth blisters. Oral cavity blistering can indicate insufficient vitamin levels in the body. Lack of vitamin C and vitamin B12 are among the primary causes for blood blisters in the oral cavity. Eating food that has high levels of these vitamins is helpful for keeping blood blisters at bay. Good foods to include in your diet are meat, poultry, eggs, milk, berries, broccoli, guava and fresh vegetables. You can also take vitamin supplements. They will help your immune system, too. Cheek and mouth blisters may be caused by low blood counts. When your body has low platelet levels, your clotting mechanism does not operate as efficiently. In cases like these, more blood will flow into your mucous membranes and remain close to the surface of your skin. 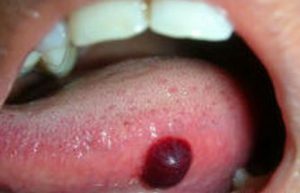 Oral cavity blood blisters may indicate Herpes simplex infections. Recurring blisters are often caused by Herpes. If your blisters are small and filled with fluid and are found in the mouth or on the lips, they are probably caused by Herpes. Herpes is highly contagious and spreads easily by direct contact with someone who has sores. Drugs will not eradicate the infection, but your physician may prescribe anti-viral drugs for you to use, to alleviate some of the symptoms. Blisters in the cheek and mouth may be HIV signs. HIV weakens your immune system, and even mild infections can have severe consequences, like these blood blisters in the oral cavity. If you eat spicy or hot foods, or foods with a hard texture, you can damage your cheek lining. This may cause blood blisters. If you eat too quickly, you may accidentally bite your tongue or the interior of your cheek. Take your time when you eat. Excessive smoking and alcohol abuse may cause blood blisters in your cheek and mouth. They can cause the ulceration of your mouth, including your lips. Gluten intolerance or celiac disease may cause oral cavity blistering. If you are sensitive to gluten, it can blister your lips, soft palate, cheek or tongue when you eat it. You can speak to your physician about treating these blisters with steroids. They reduce the inflammation in the gut and allow the blisters to heal. Diabetes may affect nearly any part of your body. If you have diabetes, you may be more likely to experience styes, carbuncles, boils and folliculitis. Some other things that cause oral cavity blood blisters include skin infections, mouth infections, Bechet’s syndrome, bowel disease, denture problems, high blood pressure, stress and acidic foods or drinks. Blisters in your cheek or mouth can be an early sign that you are pregnant. It is closely related to the blisters that occur when you have low platelet counts and hormone changes. 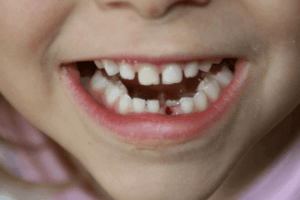 Toddlers and children do sometimes develop random blood blisters in their mouths. Unless the cause is a medical condition or infection, they are considered normal. They are often associated with teething. Don’t try to pop blood blisters in your child’s mouth. Rather, have your dentist check your child’s blisters. If you pop an infant’s blister, it increases the risk for infection, and it is often quite painful for your child, too. Consult with your physician about antibacterial or antiviral medications if he or she determines that your blood blisters are caused by viral or bacterial infections. Your doctor may prescribe pain medications, too. You may also be advised to take steroids, and use medicated mouth wash, medicated toothpaste and ulcer gels for blood blisters. If your blisters are caused by a vitamin deficiency, take supplements and eat a proper diet. Don’t eat spicy or acidic foods, since they may irritate your mouth lining. Choose a toothpaste that does not have high levels of sodium lauryl sulfate, since this could cause oral cavity blood blisters. Don’t use a regular toothbrush to clean your teeth when you have mouth blisters, as this will aggravate the situation. Even the softest toothbrush may irritate your cheek lining. Instead of a toothbrush, use your fingers gently to thoroughly clean your teeth. Don’t start brushing again until your blood blisters have healed. If you’re allergic to medications, drinks or foods, they may cause mouth blisters. Visit your physician to get proper allergy treatment. It’s very tempting to squeeze or pop blisters. It seems like it would end the blisters, but it will actually only cause additional ulceration and irritation. When you break your blisters, you may end up with a bacterial infection, and then they will take even longer to heal. Popping blisters using a needle is painful, and will create a worse problem than you already have. If you allow the blisters to heal by themselves, they are less likely to cause more problems. Aloe Vera juice helps blisters to heal faster and more effectively. The best aloe Vera treatments are from fresh plants. Break a leaf and squeeze out the gel. This can be applied to your blisters or mixed with water and used for a gargle. Aloe Vera is soothing in nature and has medicinal value. Sea salt rinses may be helpful in treating blood blisters in the mouth. Add some sea salt to a cup of warm water and gargle with a mixture like this twice a day or more. Salty rinsing sterilizes your blisters and helps them heal more quickly. Cold compresses are helpful for blisters. Wrap ice in a clean washcloth or soak a washcloth with cold water. Apply to the blisters two times a day or more. This reduces swelling and minimizes pain. This Video shows how to treat canker sores.